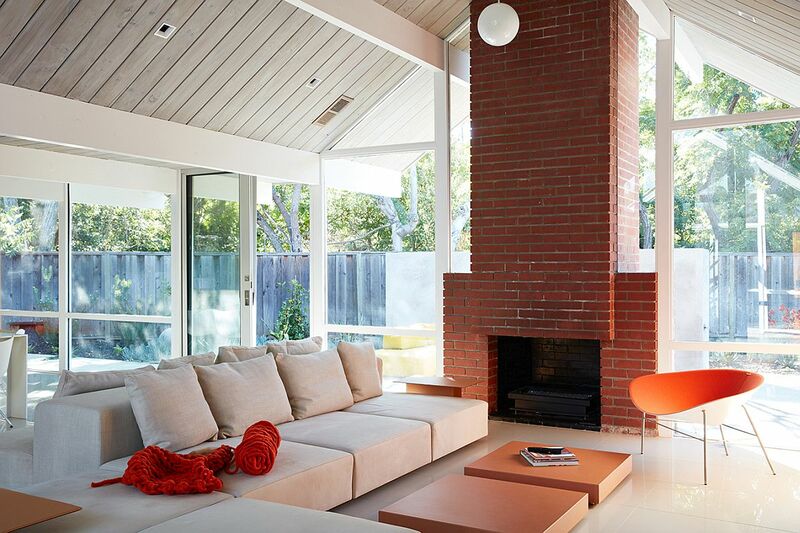 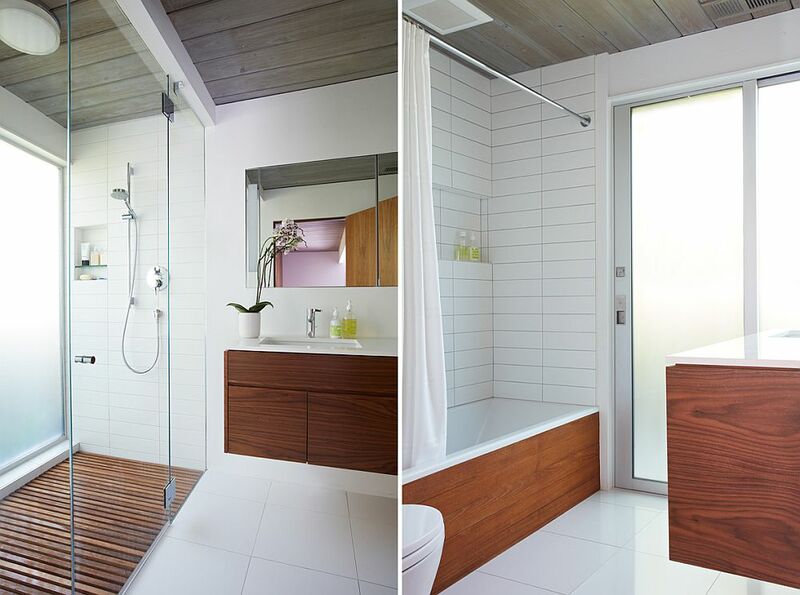 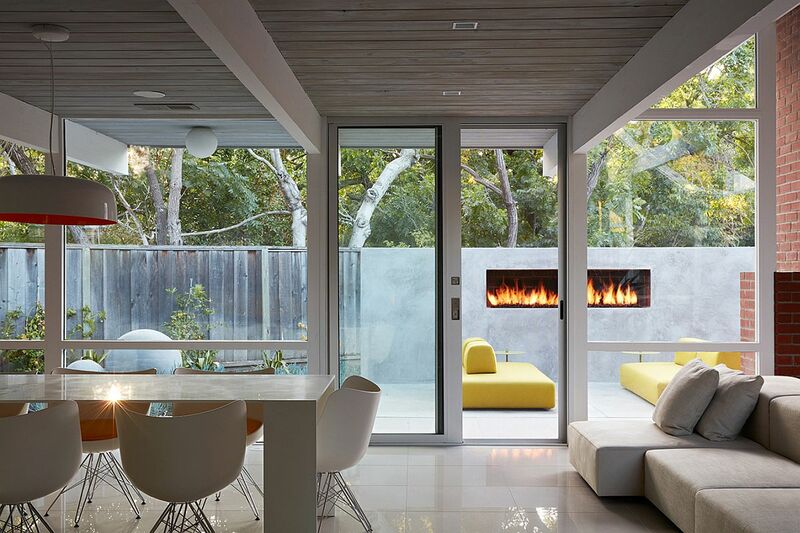 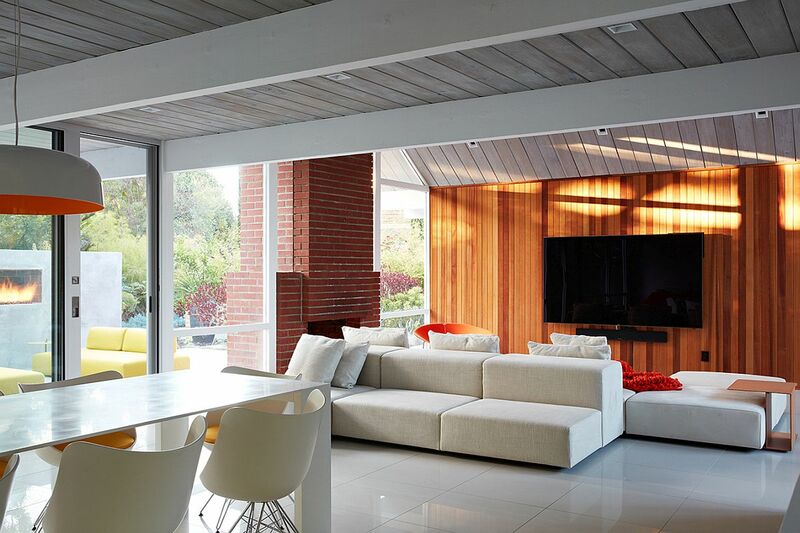 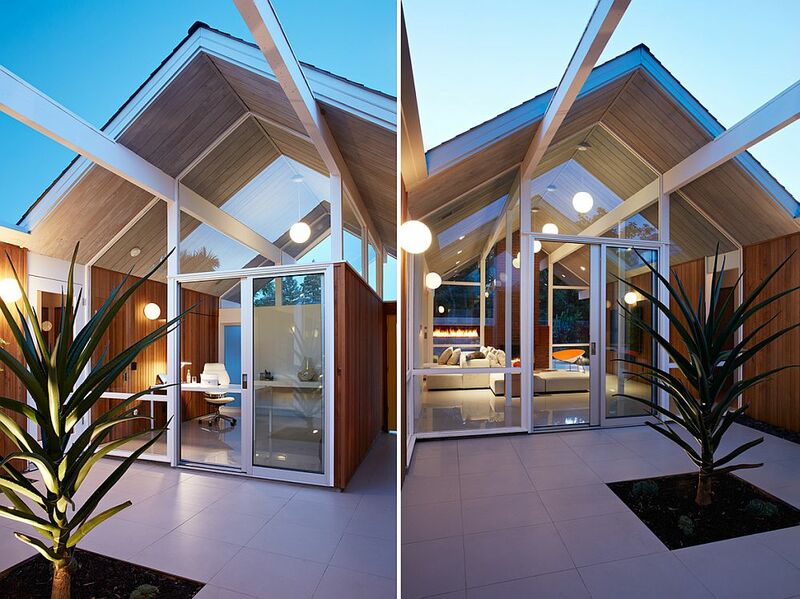 Revamping a classic Eichler home is always a challenge both in terms of design efficiency and aesthetics. 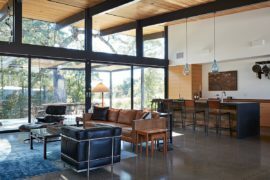 Yet over the last few years, we have not seen anyone do it better and on a more consistent basis than the folks at Klopf Architecture. 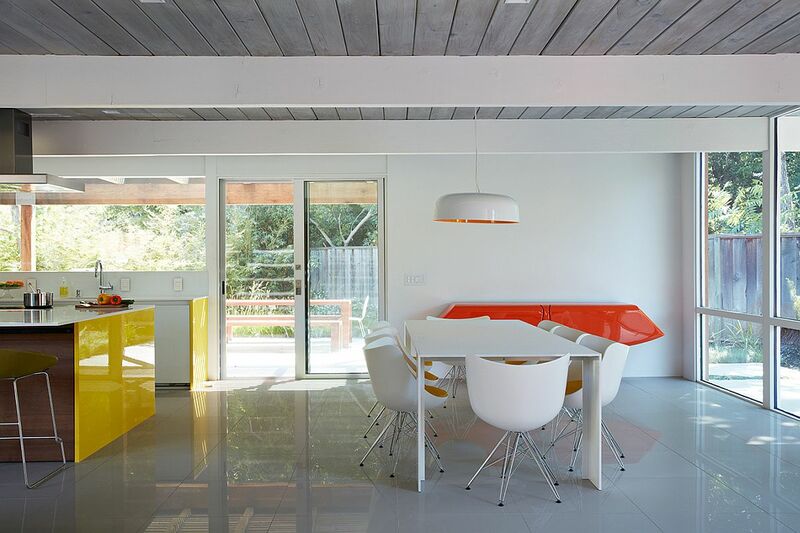 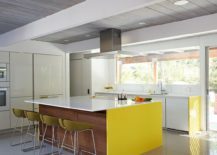 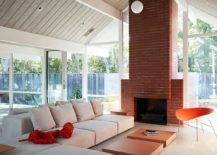 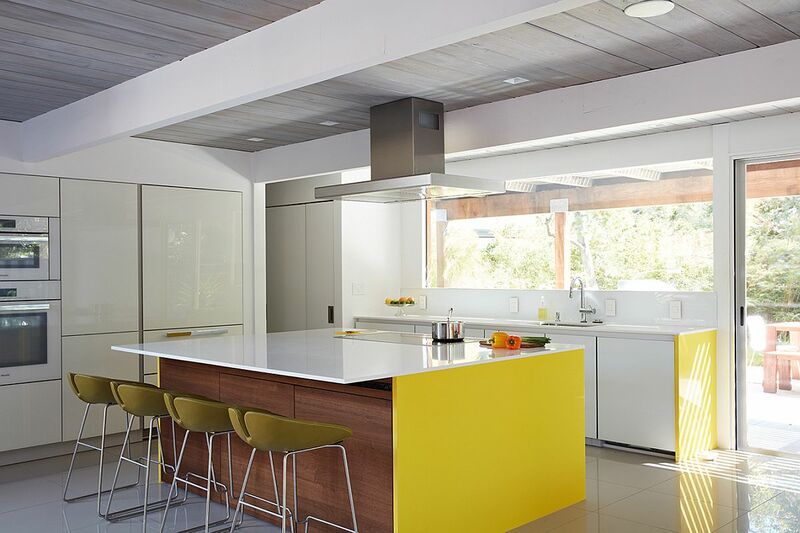 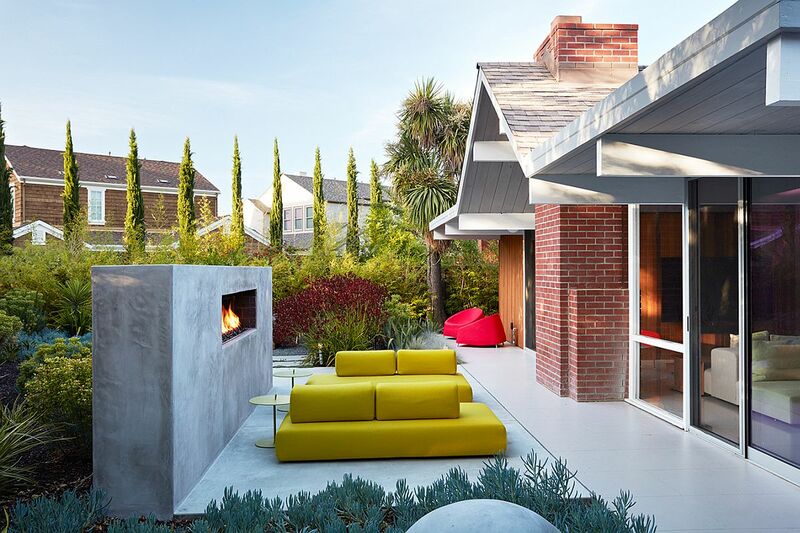 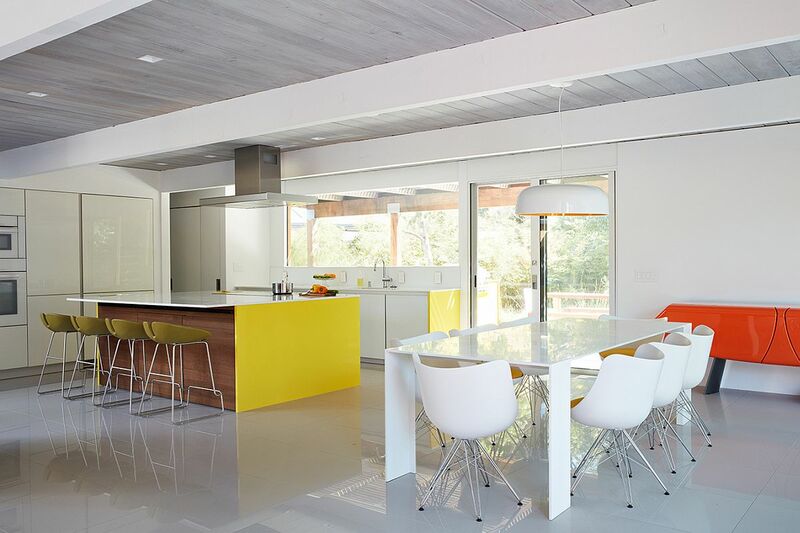 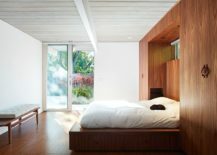 It is barely a surprise, then, that the homeowners of this double gable Eichler from Mountain View, California turned to the best when they wished to revamp their residence. 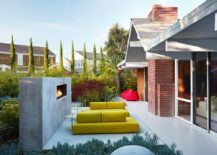 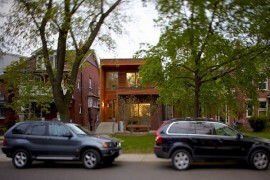 While the basic structure of the house was left largely unaltered, major changes were made both on the inside and outdoors to give the aged home a revitalized, modern sheen. 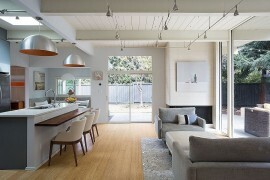 The result is truly a delight! 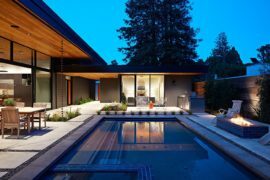 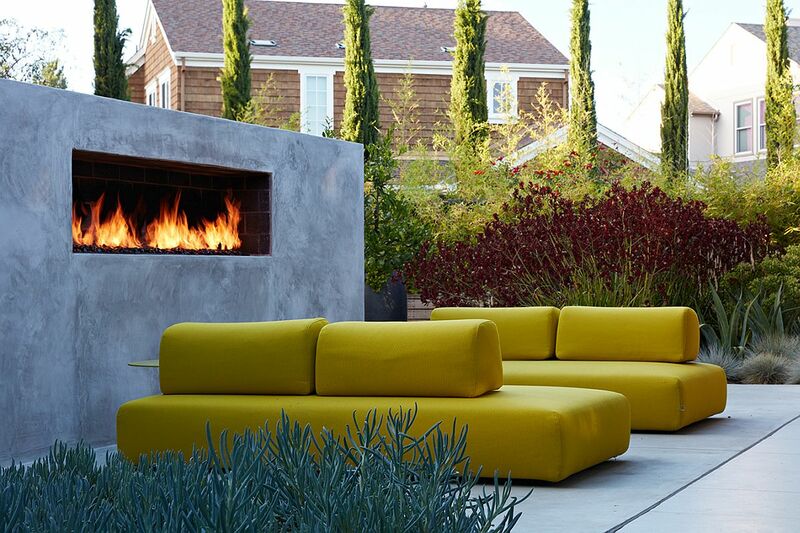 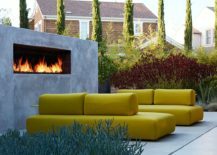 Large glass panes and doors opened up the house to the curated new landscape outside, and the outdoor lounge now seems like an organic extension of the interior. 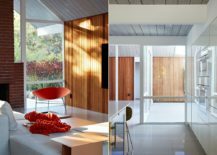 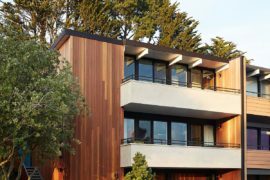 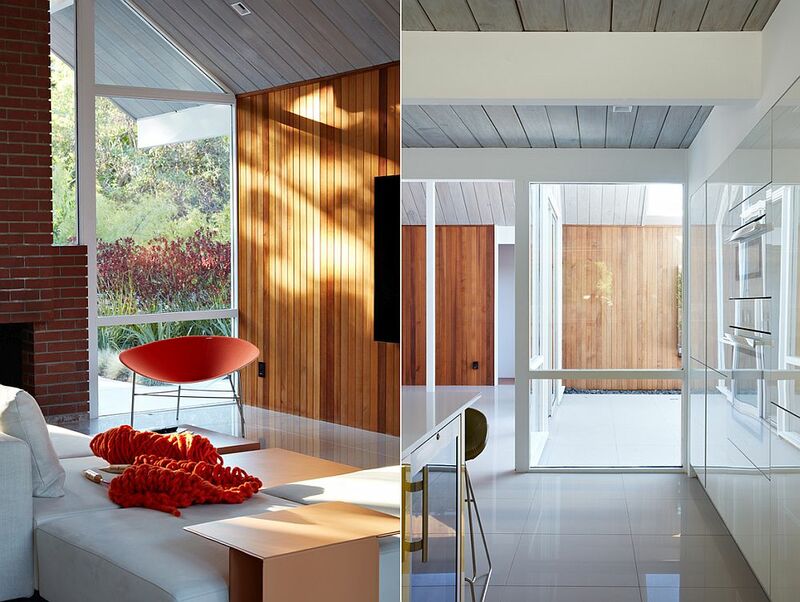 Wood siding is another major feature that defines the house, gives it a distinct façade and also keeps the timeless Eichler appeal intact. 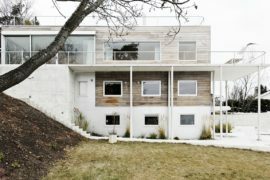 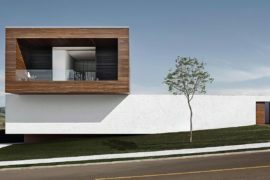 The wood siding seems to meander through the various rooms of the house, even as walnut cabinets in the living room and a wall of cabinets in the bedroom complement it brilliantly. 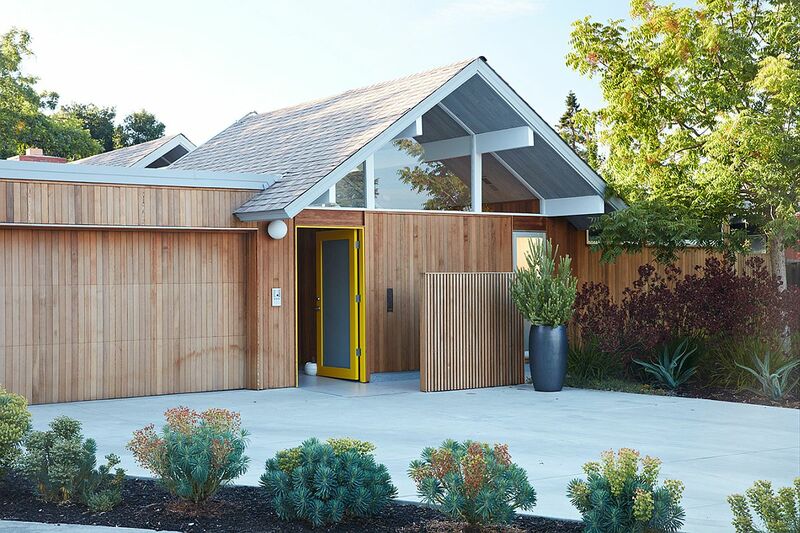 The owners worked with Klopf Architecture in part because of Klopf’s extensive mid-century modern / Eichler design portfolio, and in part because one of their neighbors who had worked with Klopf on their Eichler home remodel referred them. 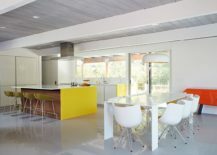 The Klopf team knew how to update the worn finishes to make a more sophisticated, higher quality home that both looks better and functions better.